How cute is this toilet roll unicorn? Adorable right? I’m calling this the preschool unicorn craft as my preschooler adores his little tube unicorns. These are the creation of John from Cut Out and Keep. I am so delighted that John has made his template available for download. With the template, it’s a simple cut and pastes job to make this little beauty. This craft could also be a great activity for a birthday party. You could have all the templates cut out and ready to go and then the kids could add whatever color streamers they wished as hair. A fun activity and great take away for the kids too. 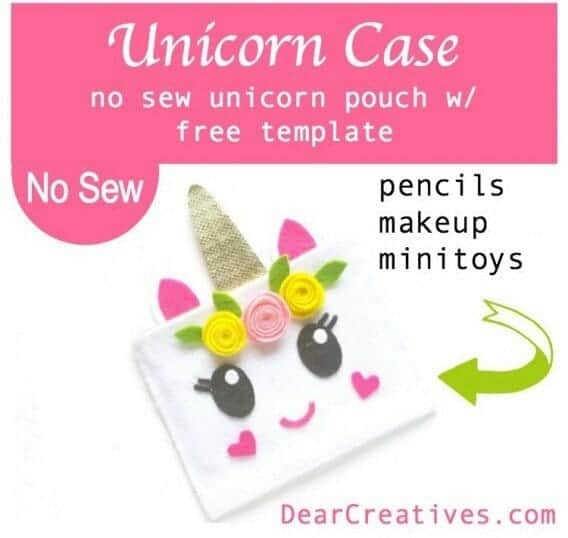 This no Sew felt unicorn pouch form Dear Creatives is adorable. 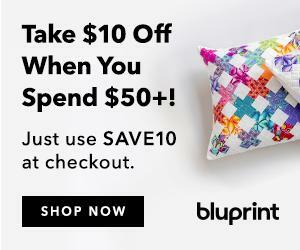 Theresa offers a template on her site to make these little pouches super easy to put together. 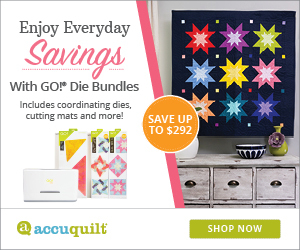 You need to get your felt, scissors and glue gun ready to go. I think that little pouches would also make a great Unicorn Treat Bag for a little girls’ birthday party. So cute and the perfect place to hide small treasures. Okay, so this one does not have a template, but I think it is just too beautiful not to include. 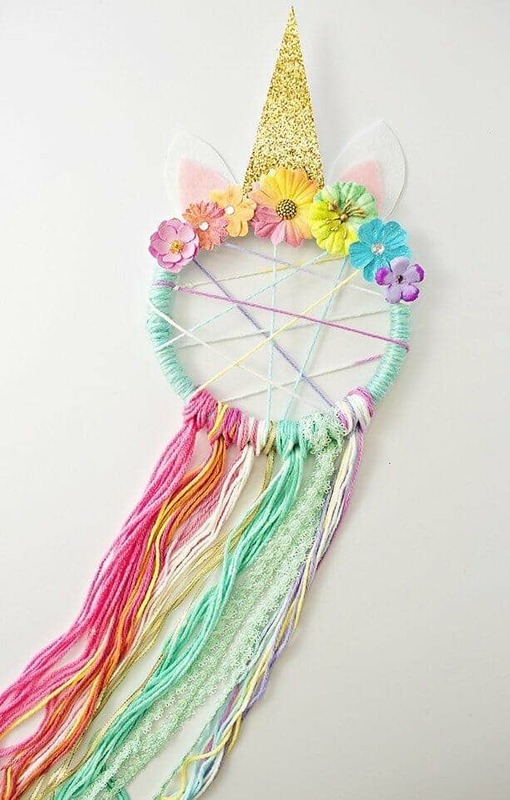 I love this Unicorn Dreamcatcher spin on the classic. This little beauty was put together by Hello Wonderful Check out the original post to get a video tutorial on how to put it all together, its a good as a template! 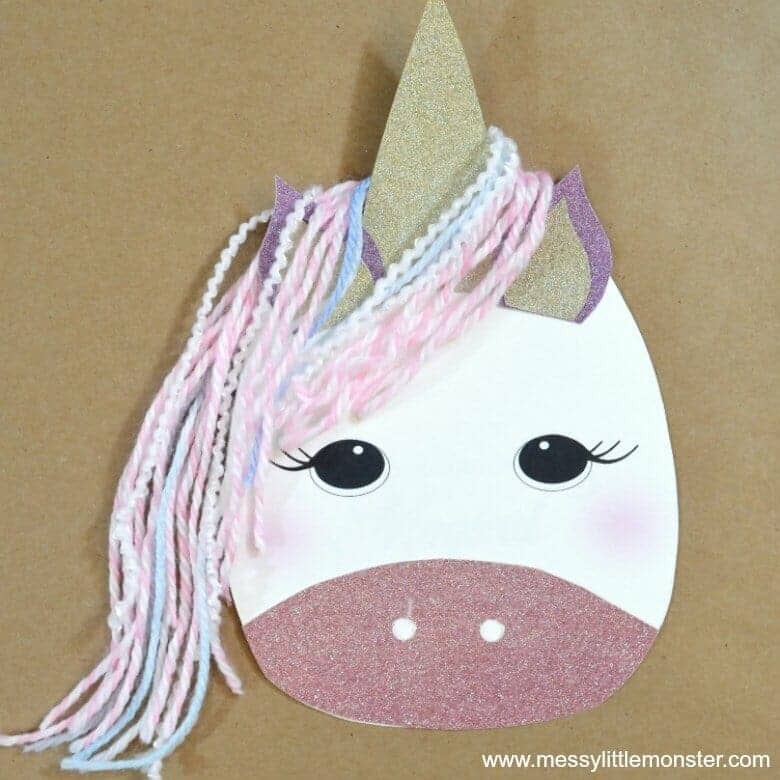 Louise from Messy Little Monsters has put up an adorable Unicorn card template together. The card was posted as a Mother’s day card, but I think you could use her template to create a card for any occasion. This card would be perfect Unicorn card to accompany a gift at a unicorn-themed birthday party. 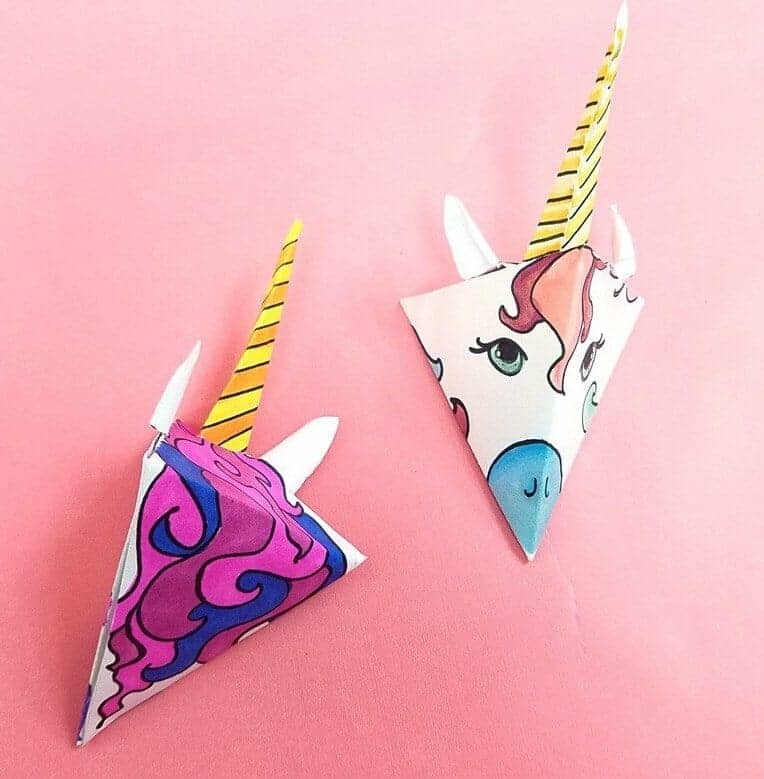 These super cute paper unicorns come from Moms and Crafters. While Menucha uses the folded unicorns to make a mobile, I think that kids would love to make and play with these little guys even without the mobile. 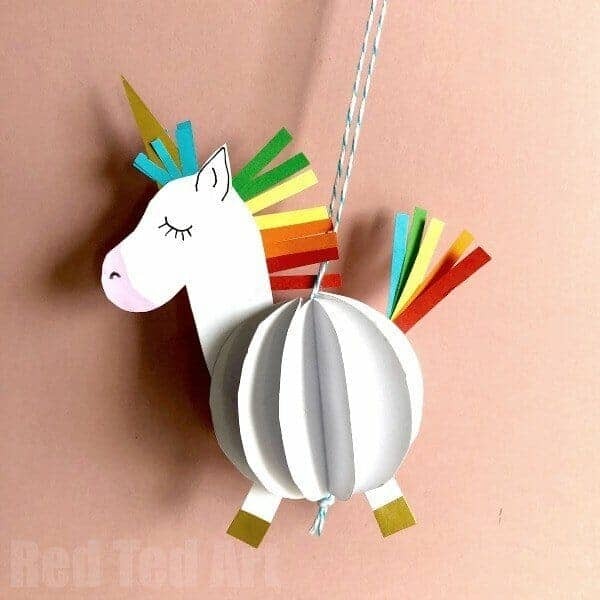 This cute 3D unicorn craft is excellent for little kids. Print out the template, let them color it in and then put it together for them. My daughter has kept her running unicorn beside her bed for a week since we put this one together. For all the details and the template, check out Easy Peasy and Fun. The craft is pretty simple, but Andreja has provided a video tutorial if you need any extra help. 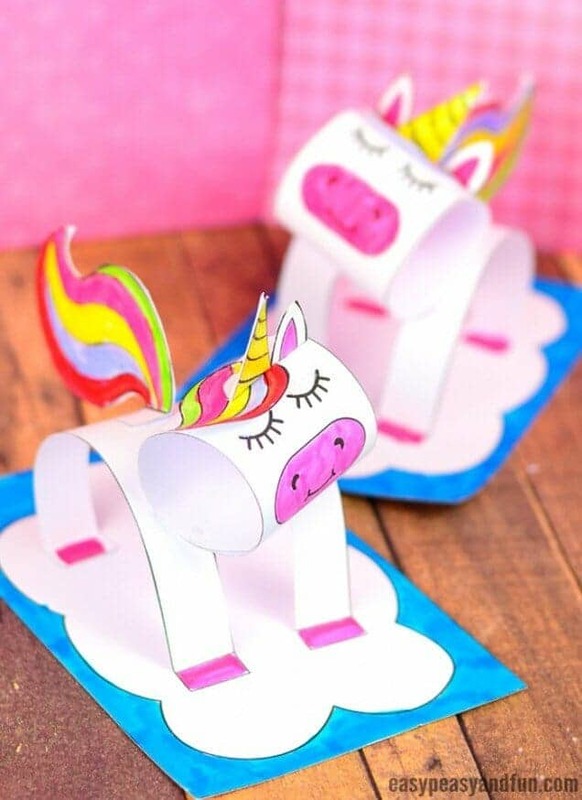 Maggy from Red Ted Art has done a template for these neat little unicorn paper decorations. These are super cute, and kids can have a great time decorating these. 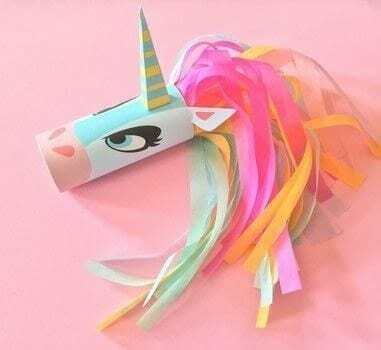 As Maggy mentioned in her post, not only are these cute party decorations, they would also be super cute on a Christmas tree if you decided to do a Christmas theme Unicorn. 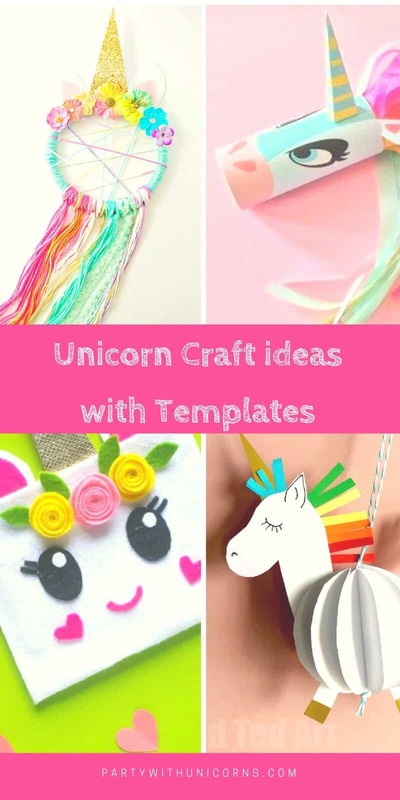 I hope this collection of unicorn crafts has inspired you to make something beautiful These days there are just so many unicorn craft ideas, its hard to know where to start! Happy crafting everyone. This is pure magic!! I want to be invited to your unicorn party! Thank you for all these inspiring ideas! I have great plans for my little friends (lets be real, it is for me!!) having the templates makes this craft superb for non crafty folk. More please!! Wow these look like so much fun! I wish they were around when my boys were young. I suppose I will have to wait until they have kids of their own and I’m a grandfather!